Which is the best cajon for YOU? We make the experience of choosing the best cajon for you & your needs as easy, straightforward, uncomplicated & painless as possible. 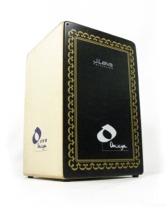 If you are looking to buy a cajon, or already in the process of buying a cajon, we make the experience easy. You benefit from our 20+ years of experience playing & understanding these wonderful instruments. If you have any questions or comments please contact us at CajonExpert.com & we will help you as best we can. Check out our What is a cajon? page for more information & detail on how cajons are constructed, what the various parts look like & the functions they perform, along with some history & background into this fascinating & fulfilling instrument. We're not sponsored so we are not paid to 'push' brands. We offer free impartial advice based on our own experience understanding cajons & playing them in a wide range of live (acoustic, small-amplified & large-amplified) & recording studio situations. The cajons we sell are sold because WE have tried them all & we know that they all offer excellent value for money. They are also extremely carefully & well-made with a great deal of attention to the small details, to give a really professional sound across the whole range of cajons: from cheapest to most expensive. Like any instrument, each one varies & has its own characteristics. That is why we repeatedly emphasise the need to use your ears when choosing. Don't just buy from a web page or take the word of a music shop employee (who usually have their sales targets). Try them wherever possible ... & if you can't, find someone you trust to select one for you. It costs nothing extra for this service. It's part of what we do & who we are. We are passionate about our instruments & we want you to receive the best that we can offer within the budget you've chosen. If you're not sure what you want or what to choose, contact Stuart at CajonExpert.com. Where Do You Start Deciding How To Choose The Best Cajon For You? As we have already explained on our What is a Cajon page, the cajon, also spelt cajón, cajone, cahon & cajun box drum, originates from Peru & has become a mainstay in many types of Flamenco music. However, cajons are highly versatile & are at home in just about any musical style or genre ... & they are becoming increasingly popular. The big problem, especially if you are new to the instrument is where to start & how to go about choosing that 'best' cajon. What is the best cajon for you? Only you can answer that question, but we can give you a good start. 'Best' DOES mean that when you sit on it & play, you feel inspired to play more, to practice, to learn all about its little nuances & quirks &, most of all, it enables you to fit in with whatever music, band or musical situation you find yourself in. There are many different brands to choose from, each with their individual sound characteristics, quality and price range. How much can you afford (what is your budget)? What quality of cajon are you after (budget available may determine this)? What type & size of cajon are you after? Is it for serious (frequent gigs) or casual use? Where will it be played (concerts; home; other)? Now a couple of notes on the above. Firstly, budget & build quality: Just because a cajon is lower in price does NOT mean it is lower in quality! Branding by the big names can add premium pricing to lower quality products. 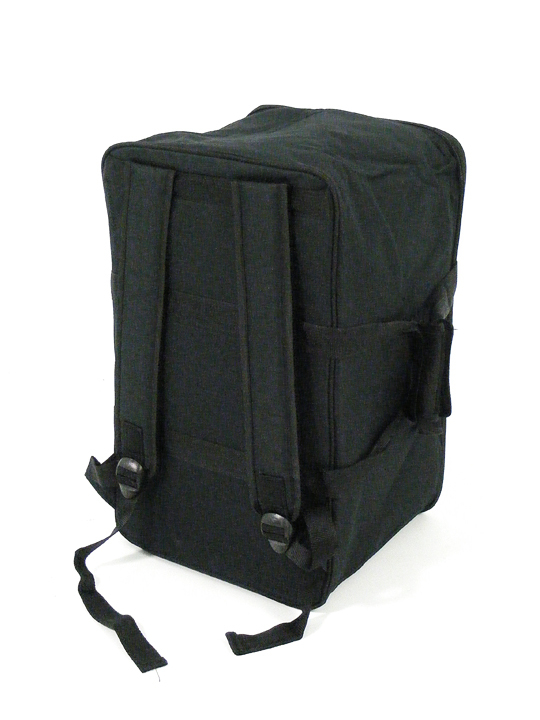 Conversely, cajons made by smaller companies or individuals may cost less but be of higher quality. Examine the materials used; quality of wood, quality of joints; attention to detail; reinforcing; finishing. These will give you a good indication of true quality. Always go for higher density hardwood construction, such as Finnish birch ply. Harder woods like birch & beech give an excellent frequency range; rich, punchy bass and bright, cracking higher tones. Secondly, how, where, when it will be used: If you are expecting to use your cajon for frequent gigs, you will do a lot of carrying & moving which can take their toll. Always aim for the highest quality you can afford for the purpose. A drum which will be for home use only many not need to be so ruggedly constructed, but that is not a reason to buy a poorly constructed drum which may buckle, distort, crack or become unusable with frequent use. Thirdly, protection: Your drum will last much longer if it is cased. This does not have to be a hard, flight-case (unless you are touring); many manufacturers make strong, padded, protective bags. Some independent case manufacturers make excellent quality strong, protective bags at very reasonable prices. (We sell padded bags that are excellent value for money. in fact quite a number of cajon sold come with their own padded bag). Choosing a cajon is not always straightforward & easy, even if you have sorted out what you want! Here are some specific things to look for. Quality: Look at materials, joints etc. Better quality materials, especially the use of higher density hardwoods, along with thicker sides, top & base, produce a better quality sound. Contrary to some opinions, a higher quality front panel (tapa) does give a much better sound, especially when playing slap strokes. It also enhances a controlled bass response. Make: This can be an area of controversy, but in our experience, high-profile brand logo does not necessarily make a great cajon! By nature of their hand-made construction, every drum is made from materials that all vary slightly & therefore, will produce a different sound (even if this is only a subtle difference). Therefore, by taking some time to compare different drums within a particular brand & across brands, you may be able to find 'your' drum from a supposedly 'lower' model simply because of a good combination of materials: it pays to shop around & take your time choosing a cajon. Purpose: Most cajons will have snares to give some rattle or buzz to the high tones. 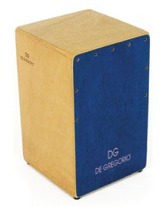 However, some cajons are purpose-built to produce mainly deeper bass tones, whilst other Cuban-style cajons may produce higher, bongo- or conga-like tones. 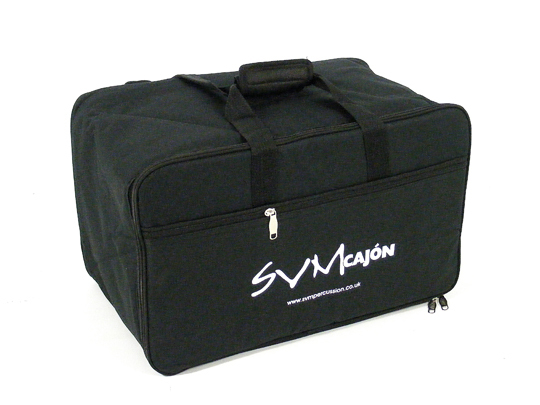 Cajons without snares will sound different to cajons with snares. If you are wanting to replicate a drum kit sound, you will want a cajon with snares. If you are planning to use your cajon as a conga or hand-drum substitute, snares may be less important or not wanted. Know what you want & where it will be used. Bass Tones: These should be deep & well-defined. Some cajons can sound 'woolly' because their bass tones have a lot of 'middle' or mid-tones in their sound without the deep punch of the bass. This sound may suit you; it may not, but be aware of the difference. Tone Separation: There should be a clearly audible difference between the high tones & bass tones. Snares & Tuning/Tensioning: If you are choosing a cajon with snares, these should produce a controlled buzz with the higher tones & when the tapa is played gently (ghosting). they should be less evident & certainly not dominant when the bass tones are played. When choosing a cajon there is no substitute for listening to it ... in the room ... as it's played. What About Using Videos or YouTube To Compare Cajon Sounds? Manufacturers put sound samples & videos on their sites & players post videos on YouTube etc to let you know how good their cajon sounds. * Cardboard boxes have been used to great effect on commercially recorded tracks. We cannot stress enough that the sound you hear may not resemble in any way the true sound of the cajon being played due to the influence of microphones, recording electronics & the speakers/sound system you are playing it through on the sound you hear. YouTube, Videos & Recorded Sound samples are useless when deciding which cajon to buy!! Many established, 'mainstream' drum & percussion manufacturers have started making cajons, most of which are made in the Far East. These instruments, although very well made, represent an inferior product. The woods chosen for manufacture are cheap variants of better timbers, giving less well-defined tones, reduced dynamic range & inferior separation (difference) between high & bass tones. Some of these cajons have such a large, warm bass tone that it dominates all other tones, whilst the cheaper models (& even some of the more expensive models from these brands) have uncontrollable & intrusive snare buzz when playing all tones. Smaller manufacturers are much more likely to take time & effort getting their product right. There is an investment of pride. Try manufacturers from Spain where a cajon heritage has often been passed down through the family, or the companies are run by cajon players who understand what they are making. Try also Schlagwerk from Germany who make excellent products. You will not necessarily have to pay much more for cajons made by these smaller, bespoke manufacturers but you will enjoy a superior, more musical & more satisfying product. When you have a cajon you enjoy, you will want to play it more. How Do You Know You're Choosing The Right Cajon? The short answer is that unless you are experienced or know exactly what you want, you rarely know ... until you hear it. If you're not sure ask an expert or ask a discerning player to help you. Try out different cajons & find the drum that connects with you, that is, a cajon that when you play it, you want to play it more. Most of us know when we've found the right cajon for us ... but it is not always immediate; take advice, take your time; use your ears; listen to your instincts. Ignore the brand; listen to the cajon. We are always happy to help you choose. If you're not sure, we will use our passion & extensive, long-term experience to choose a great cajon for you. 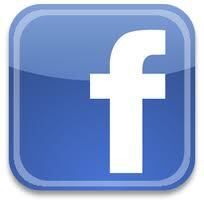 Call us; chat to us; e-mail us; text us & we'll help however & wherever we can. THERE IS NO SUBSTITUTE FOR LISTENING TO A CAJON IN THE ROOM, 'IN THE FLESH'. Be clear about where you will use it; totally acoustic; mic'd up; both? 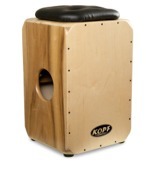 Your cajon can sound VERY different depending on where you are located & the environment (room) you try it in. If you are near to a solid wall or radiator, the drum will sound louder & you may get enhanced bass tones. Try to test your drum placing it in the middle of a room & make sure each drum is placed in the same position when played. It is also important for YOU to play the drum yourself & listen to how it sounds when you're sat on it, then get someone else (who can play) to play the cajon when you are stood next to it (so you can hear how it sounds). Then listen to the cajon when you are stood 6 - 10 feet (ca. 1.75 - 3 metres) in front of it: the drum will sound very different from these two positions! Try playing the cajon in different parts of the same room to see how it sounds. Always check for resonant materials that will exaggerate the bass tones. In music shops this can be any instrument with a large resonating sound chamber: piano, bass drum, toms, double-bass, even acoustic guitars. Playing the cajon can potentially put strain on your back & cause injury to the hands & fingers if not played properly. It is very important to learn good posture & good playing technique. This will not only increase your endurance but reduce the risk of short-term & long-term injury. Do not stoop forward. There is no need. The playing area of the cajon is the top 6-inches. If you are hitting it lower than that you are wasting effort & creating an inferior sound. You are also increasing the chance of backache & longer-term injury. Do not hammer away on the cajon with your hands. The instrument has a maximum volume. Once you reach that, hitting it harder does not give you any real return in terms of volume, but it will give an inferior tone & it will greatly increase the risk of damage & injury (short-term & long-term) to bones, joints , muscles & ligaments. Extended playing may also lead to inflammation of the tendon in the wrist & hands. Hitting hard also tends to lead to greater tension in the wrists & hands which not only causes quicker fatigue but also strain injury. Relax. Ensure that your sitting posture is relaxed, though not slumped forward, that your back is straight & your feet are planted firmly on the floor. Some players will apply pressure at the rear of the cajon by pushing down through their feet, to raise the front slightly off the floor. This often ensures that your hands & fingers are in a straight line with the tapa face when playing it. If you apply these simple rules on a regular basis they will become a habit; a habit that will save you a lot of trouble in the longer term & potentially extend your playing life. DIFFERENT COUNTRIES STOCK & SELL DIFFERENT CAJONS MADE BY A RANGE OF DIFFERENT MANUFACTURERS. Many of the 'big names' have large global budgets & global distribution: they are found in almost all parts of the world. However, the smaller manufacturers rarely enjoy that luxury, so their cajons are usually much more regionally distributed. So, for example, the Leiva cajons we sell are available in the United Kingdom (UK) & most European countries but they are not available in the United States of America (USA). So, if you are asking us questions about which is the best cajon to buy for you, please remember to let us know where you live as that will have a major influence on what we can & cannot recommend to you. So Which is the Best Cajon for YOU? Only you can answer this question, but if you base your decision on the points outlined above & remember the key facts below you have every chance of choosing your ideal cajon, which should give you years of service & great enjoyment. Make sure you know where you will use it; totally acoustic; mic'd up; both? Don't be influenced by marketing, branding & advertising; use your ears.